Transform ordinary glass into impact rated security glass. This is not regular window tint and should only be performed by a skilled and licenced security window film technician. 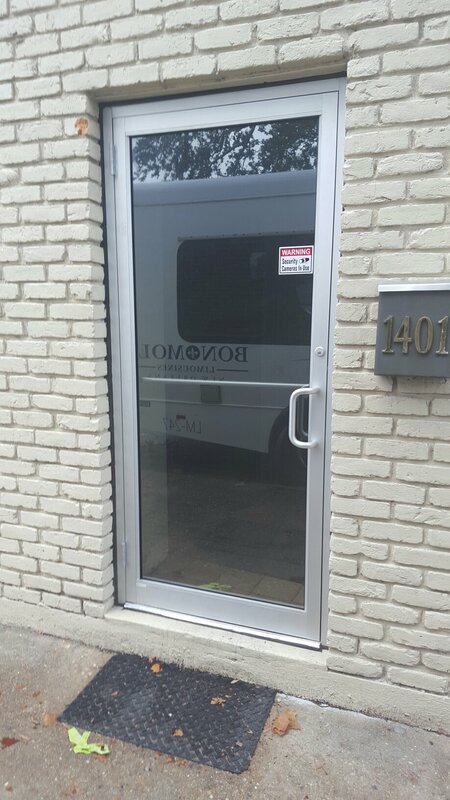 Below is a picture of the end result of a commercial door that has been enhanced with Armor Coat Stainless Steel 8 mil security window film. To properly perform this installation, several steps must be followed. Below, you can see that the “stops,” have been removed revealing the glasses edge. 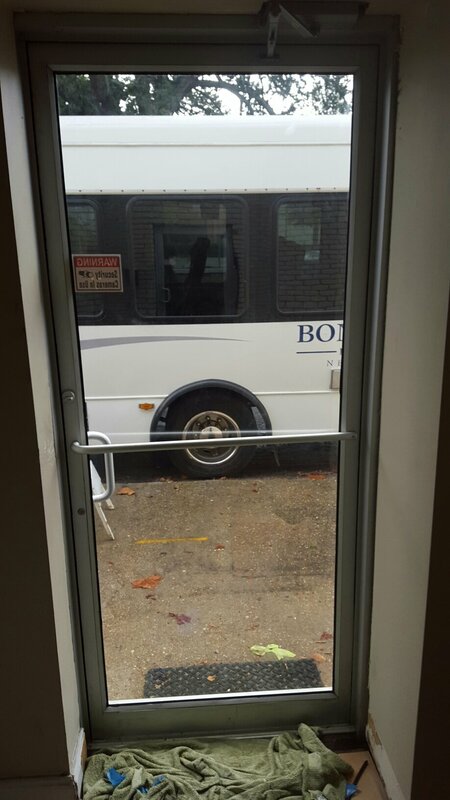 Once the window film is installed to the glasses edge, the process of attaching the filmed glass to the door’s framing can begin. 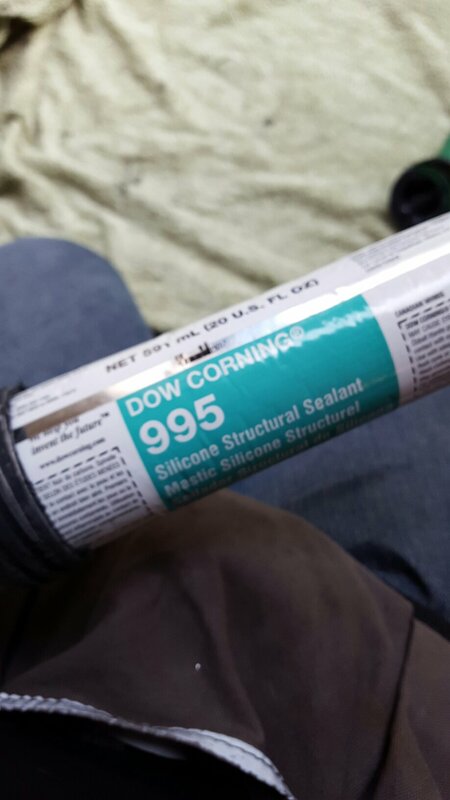 The bonding agent, Dow Corning 995, is applied to the film and frame. 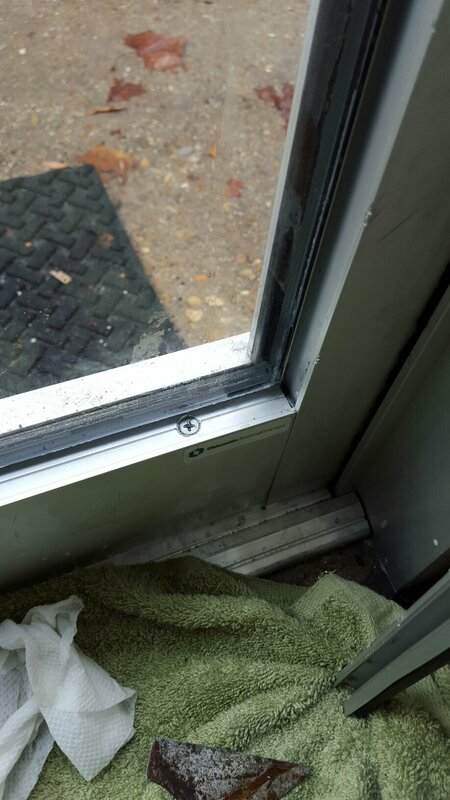 Once this first of two beads of the structural sealant is applied, the door frame stops are reapplied to the door over the caulking. 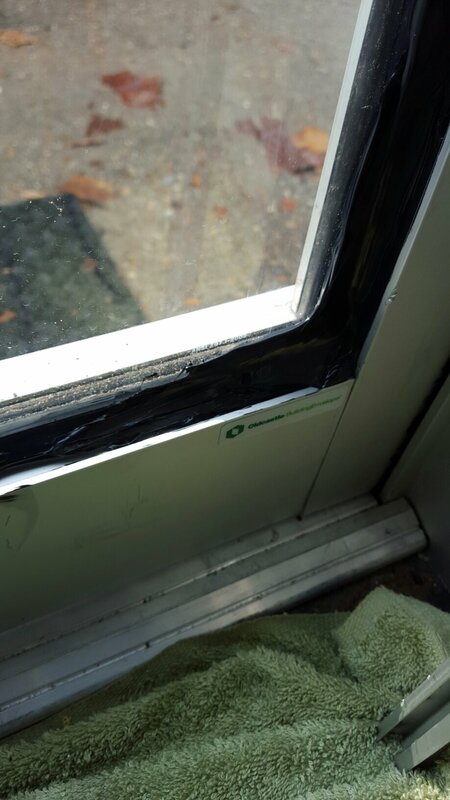 Solar Gard, the manufacturer of Armor Coat Safety and Security Window Films, recommends before the stops are reapplied to the door, the rubber seal should be removed to allow space for the second bead of caulk to fill behind the stops and meet the primary bead of sealant. 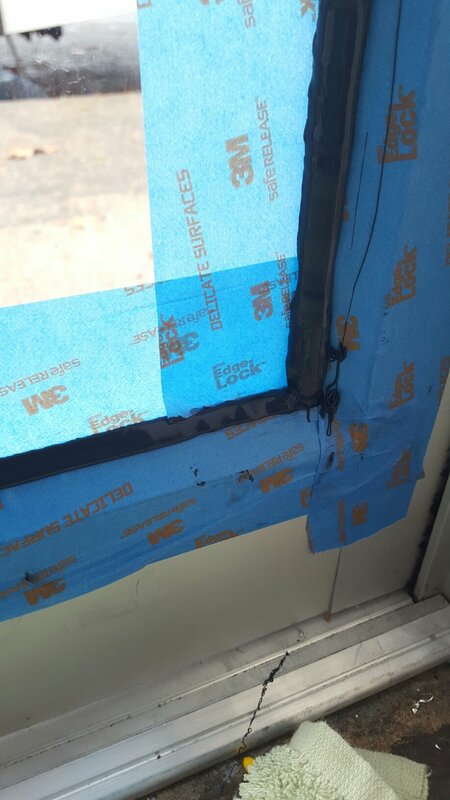 In order to assure an adequate amount of sealant has been injected and filled into the frame’s cavity, the area is taped off so the sealant can be, “tooled,” and tappered to reveal a factory looking rubber lip. In reality, that lip is the very beginning of a continuous deposit of a super strong structural adhesive that is bonding the film, glass, and framing together. When the glass breaks the film will hold the broken glass together while the silicone keeps the sheet of film in the door frame. 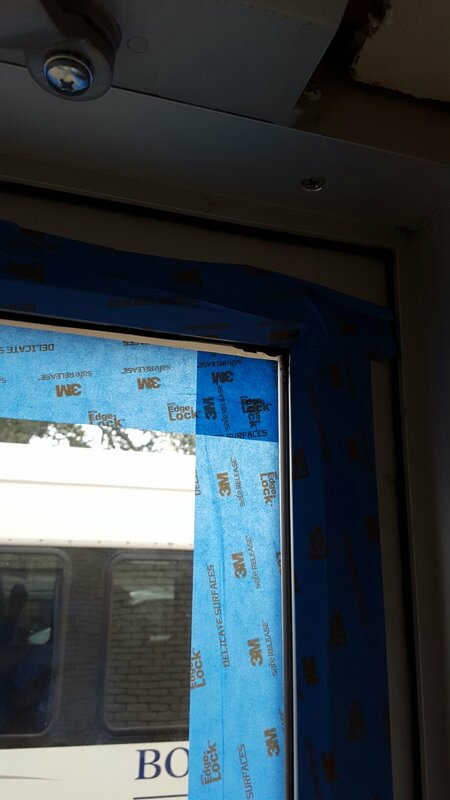 After the caulking is tooled into the frame, the tape is removed, revealing a fortified commercial door that will not be penetrated by any person or storm. For more information about how Snappy Tint can help you achieve your safety and security goals, please call us today.